Re-energise yourself in a Corsican household combining exception and tradition. The organic Spa Casanera is in a space totally dedicated to wellness and treatments inspired by the beauty rituals of Corsican women from yesteryear (pouches produced by hand from wild plants). The spa, adorned with dry stones in the spirit of old Corsican sheep barns, fits in perfectly with the environment in front of the mountain. 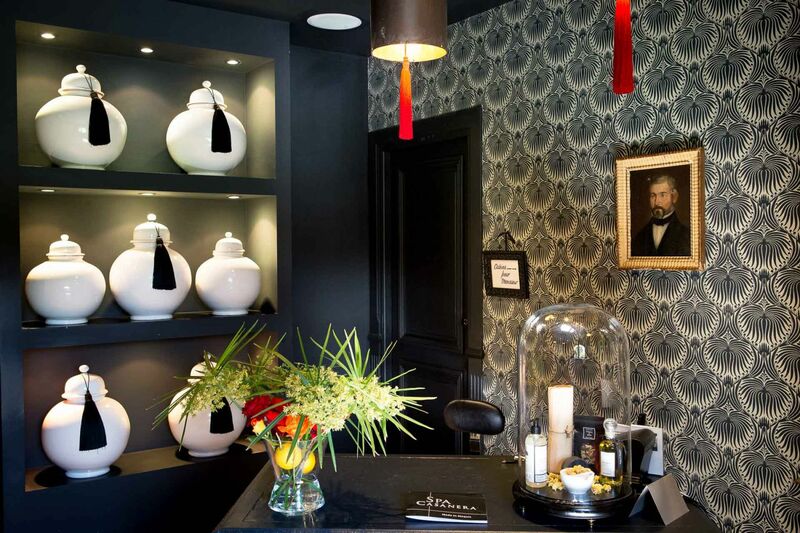 Let yourself be transported into a calm and elegant environment where our expert therapists are waiting to provide you with a wide range of treatments using Casanera cosmetic products, including full-body treatments, facials, body scrubs, world massages, cosmetic treatments and make-up. 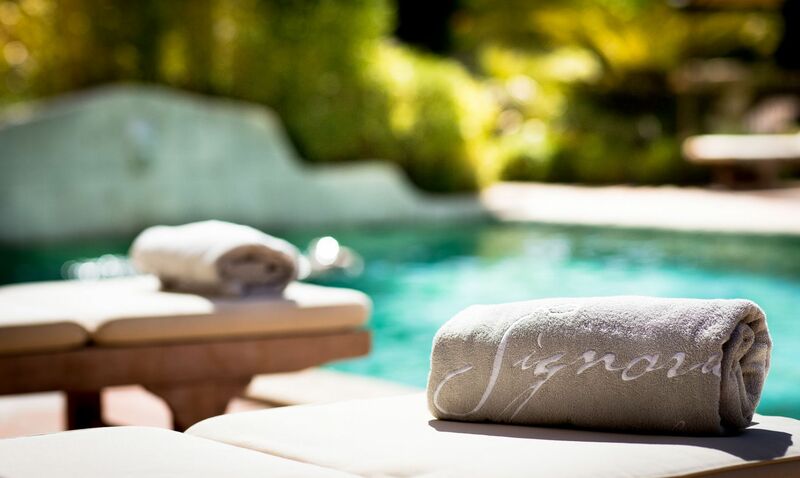 On site at La Signoria hotel and spa are 4 massage rooms (incl. 1 duo), 1 balneotherapy bath, 1 Powershape room, 1 hair salon, 1 sauna and 1 steam room (can be privately booked for 20 €/person. ), 1 relaxation/tea room, 1 fitness suite (cardio and weights), 1 large outdoor heated pool, 1 XXL jacuzzi located in a former orangery. Spa opening hours: 10am to 1pm and 3pm to 7pm (April, May, June, September and October); 9:30am to 9pm (July and August). Free access to the sauna, steam room, fitness suite, pool and sensory bath for hotel residents from 8am to 8pm. Treatments and massages are only available by appointment. 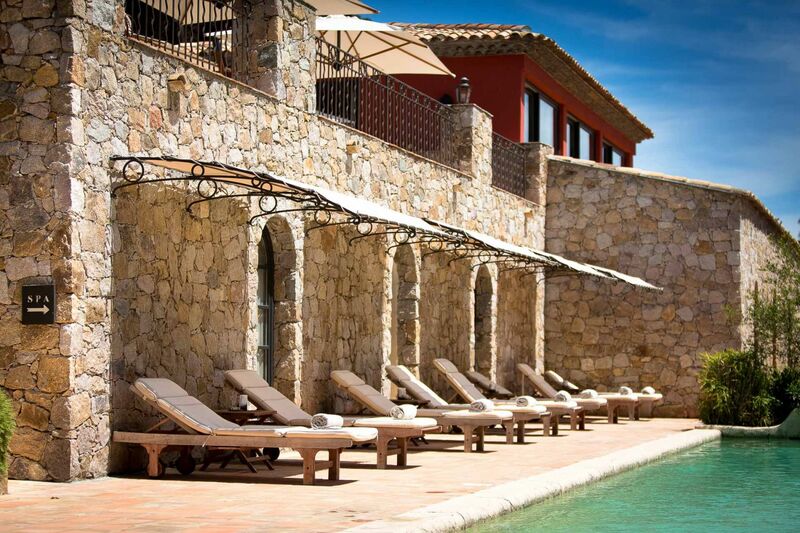 Spa Casanera has a treatment line called “Made in Maquis”, 100% organic and created by Marie Ceccaldi. This line of treatments is available in boutiques of the same name in Bastia, Calvi and Porto Vecchio. The Casanera brand has been awarded the highest certification in organic agriculture andcosmetics by the “Nature & Progrès” federation.